When to settle and how to negotiate the best possible settlement are common questions following a motorcycle accident. When someone experiences a motorcycle accident and is injured, the parties responsible for causing the accident will be responsible for medical expenses, lost wages, damages for pain and suffering, and additional accident-related damages. In order for a fair settlement amount to be determined, all of these factors need to be uncovered and identified and then the cost of the impact that the injury has on the victim’s life needs to be analyzed and calculated. There are many negotiations that need to take place after an accident that results in injury. Insurance companies, the at-fault driver, and any other involved parties can all be negotiated with for payment to cover medical expenses, lost wages, and non-economic damages as well. Before you can begin to negotiate, however, your attorney will need to determine the total cost of the accident and how the accident has affected your life. Once the plaintiff is at this point, a discussion with his or her attorney of whether or not to accept an initial settlement or to seek greater damages is the best course of action. It is difficult to give an answer to “should I settle?” Each case has unique circumstances and only you and your experienced motorcycle accident attorney can know if a settlement offer is fair and acceptable in your case. Most cases are settled without going to court, so while most plaintiffs are able to reach a settlement before going to trial, how do you know if this is right for you? First of all, consider whether going to trial is going to end up costing you more. If court costs and the time it takes to go forward are not going to end up outweighing the damage recovery, consider settling. One thing that is important to remember in negotiating a motorcycle accident injury case is that it is proper to settle when the cost of proceeding to trial is not likely to outweigh future recovery of damages. This means that if the cost of moving forward is likely to be high, it may be better to settle. Insurance companies may be unwilling to pay out damages that you are entitled to, however, and in some cases going to trial is going to be the best way to recover these damages. But going to trial does mean that the case will be in the hands of a jury. When you go to trial nothing is guaranteed. But if you and your attorney feel you have a strong case and think you can convince a jury, this may be a good option. It is tricky to say “this is when you should accept a settlement” but it is easier to determine when a settlement offer is not acceptable. A settlement offer that is truly unfair and the at-fault driver refuses to negotiate, might indicate that taking the case to trial will be appropriate. For instance, it would be unacceptable if the plaintiff is denied the most basic compensation for expenses like medical care if the injuries sustained in the accident result in significant medical costs, and the at-fault driver refuses to provide compensation. Motorcycle accident victims are also entitled to compensation for any wages lost due to injury and other calculable economic damages. If compensation for these issues is missing from a settlement offer, this is also unacceptable, and you should pursue compensation. If a plaintiff is permanently disabled from injuries sustained in the motorcycle accident, he or she are often entitled to compensation for the injuries, loss of future income, and the cost of lifestyle changes. Sometimes these cases are better settled in court. 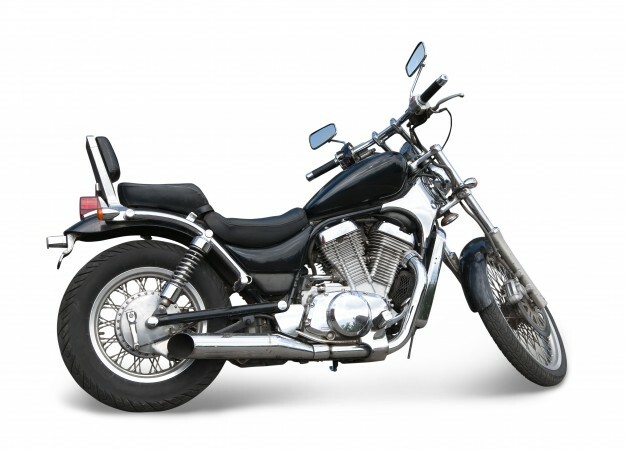 Motorcycle accident cases can be extremely complicated. These accidents can be potentially devastating and there are many factors that need to be considered when determining an appropriate settlement amount. Working with a motorcycle accident attorney is the best way to get the best settlement possible. Insurance companies will very often take advantage of individuals who have not retained the legal expertise of an attorney, encouraging early settlements that are far too low. Christopher Hoffmann has been successfully representing car and motorcycle accident victims in Missouri and Illinois for over 10 years.